One of my favorite toys as a kid was dolls. Dolls, dolls, dolls! I was crazy about dolls. I used to love sewing clothes for them, crocheting granny squares for area rugs in their houses, and sewing bedding too. I am still crazy about dolls, but it’s more of a nostalgic feeling than an urge to play with them today. 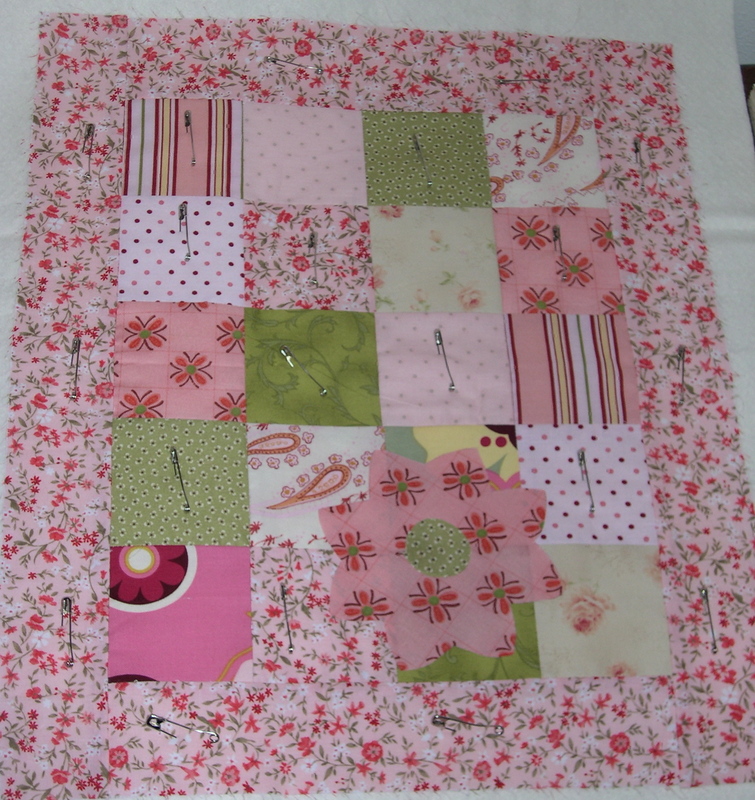 I was drawn to the February doll quilt sew-along at Sew,Mama,Sew to make a doll quilt with Alissa. 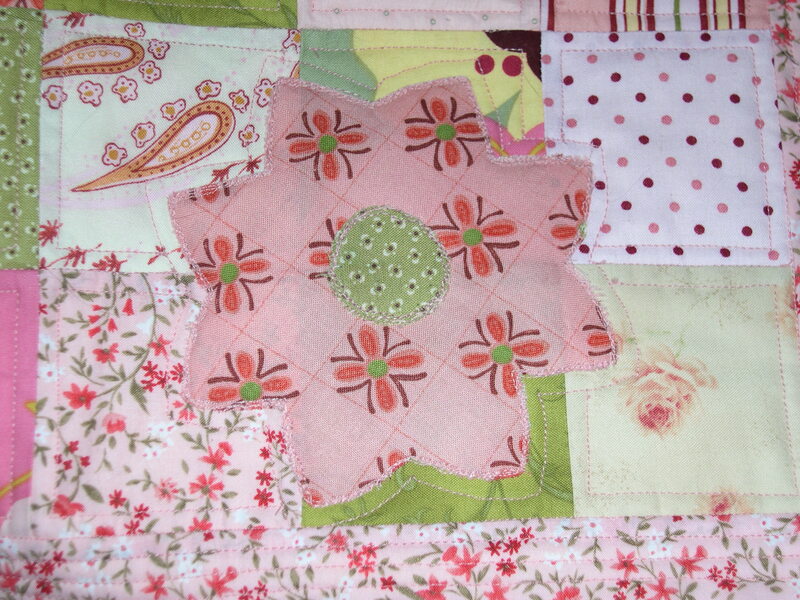 I bought these fabrics awhile ago with the idea in mind of making a mini quilt or a doll quilt. Perfect! I quilted a frame on the inside of each square and in the border, and then I tried that sketchy stitchy applique method around the flower. I am so excited to report that I finally forced myself to sit still long enough to read the instructions on how to install the free-motion foot onto my sewing machine. I even read the manual and did a little research on the Internet for tips on stippling. Does this count as using fabrics in my stash? I noticed that the tension thread was off because the back isn’t as pretty, so I did more research today on how to tweak that too. I’m off to practice more! Do share the tension info?!? 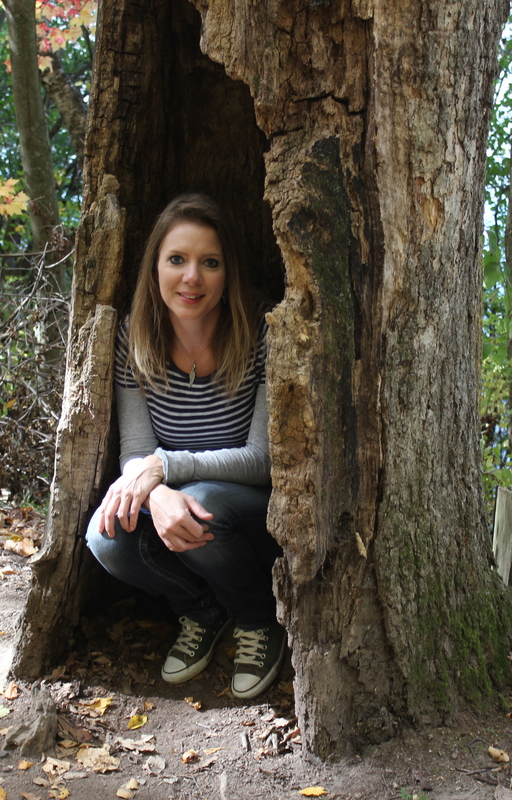 You should try it on a small project – it’s quite therapeutic! From the bottom, the stitching line looked like it had dots through it, which was the top thread showing through. 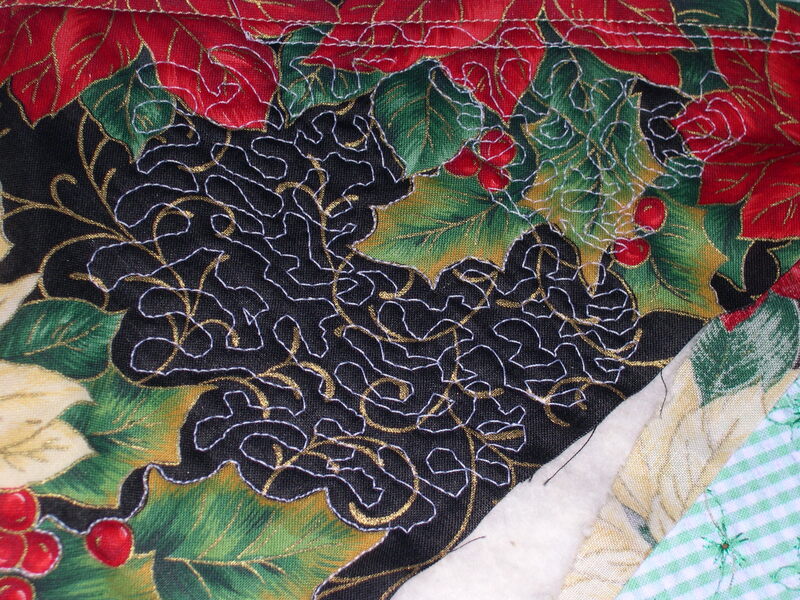 I read in a machine quilting book that the top thread tension was too loose. I usually keep my tension on Auto, so I moved the thread tension dial higher to 5 and that helped. 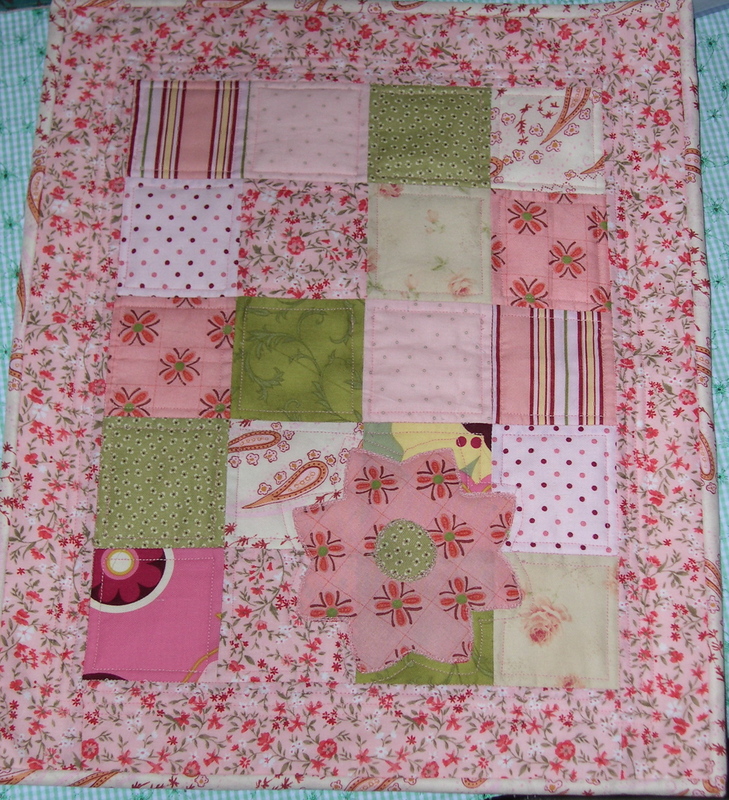 cute doll quilt…love the flower!